Here is a round-up of today's proverbs and fables - and for previous posts, check out the Bestiaria Latina Blog archives. Don't forget about the Latin LOLCat Randomizer, and there's also a LatinLOLCat Board at Pinterest. HODIE (Roman Calendar): ante diem duodecimum Kalendas Maias. MYTHS and LEGENDS: The art image for today's legend shows The Sabine Women Making Peace, and there are more images here. 3-WORD MOTTOES: Today's 3-word motto is Meo contentus sum (English: I am content with what I have). 3-WORD PROVERBS: Today's 3-word proverb is Litteris absentes videmus (English: We see people who are absent through letters). RHYMING PROVERBS: Today's proverb with rhyme is: Pomum compunctum cito corrumpit sibi iunctum (English: A bruised fruit quickly spoils the fruit next to it). VULGATE VERSES: Today's verse is Aquae furtivae dulciores sunt, et panis absconditus suavior (Proverbs 9:17). For a translation, check out the polyglot Bible, in English, Hebrew, Latin and Greek, at the Sacred Texts Archive online. BREVISSIMA: The distich poster for today is Iustum Petito. Click here for a full-sized view. O the deceitful abundance of things! 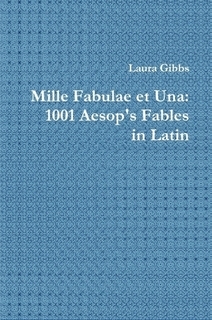 FABULAE FACILES: The fable from the Fabulae Faciles widget is Iuppiter et Apollo , a fable about the Olympian gods (this fable has a vocabulary list). 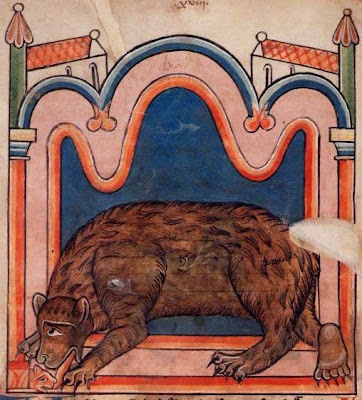 MILLE FABULAE: The fable from the Mille Fabulae et Una widget is Ursae Catuli et Leaena, a fable about bear cubs being "licked into shape." Freebookapalooza: Classics. 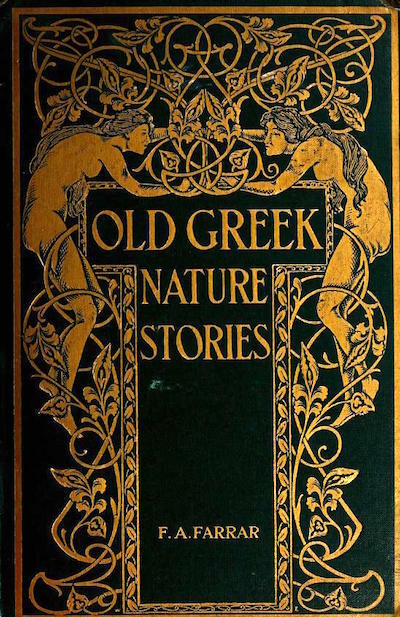 Here is today's free book online: Old Greek Nature Stories by F. A. Farrar.